Did you say CANDY OR MAYBE COOKIES? Today I am sharing my Rare Oddities Candy Dish I created using Eileen Hull's Cookie Box Die. It has to be one of the most versatile dies that is out there. Today I went with the pretty using Graphic 45 Rare Oddities Collection from Graphic 45. I began by die cutting the Cookie Box Die with both the Little Sizzles Mat Board and twice with pattern paper. Create Cookie Box according to package directions and then adhere the pattern paper to the inside and outside of box. 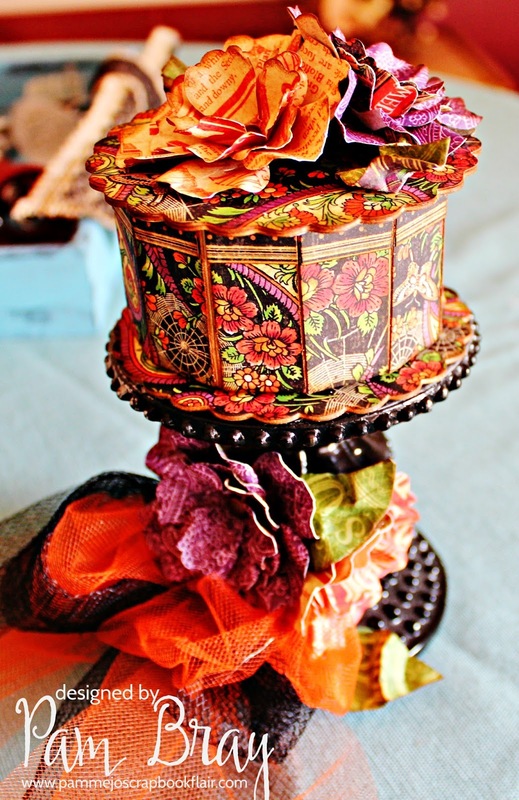 Fill you candy box with your favorite candies or cookies; adhere to a candle stand. Tie tulle around the candle stand. Die cut Pansy Flowers and Spring Leaves from pattern paper. Form flowers and leaves using tweezers. 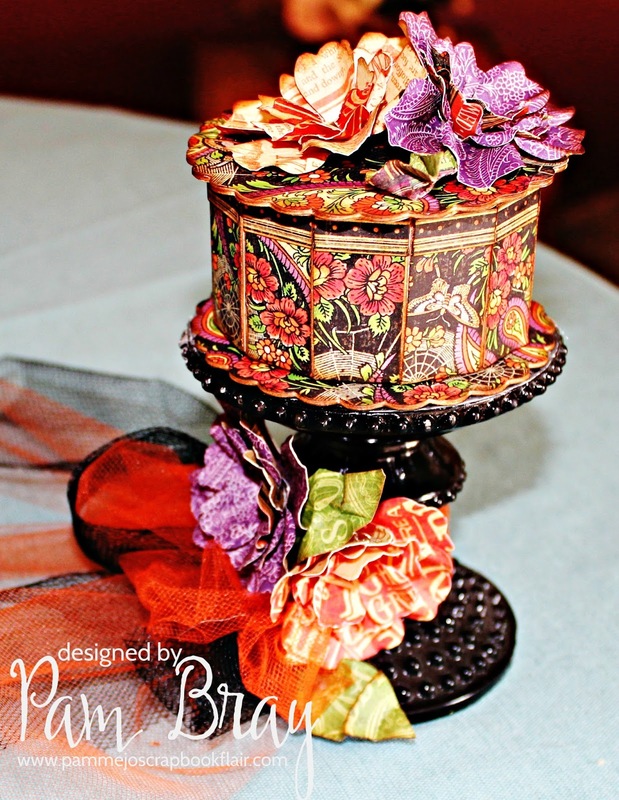 Adhere to candle stand and top of candy box. I hope I have inspired you to get the Cookie Box which you can find HERE in the Sizzix Store along with other of Eileen Hull's Dies.